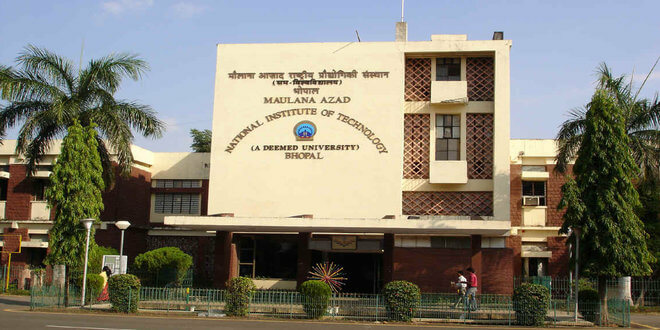 Maulana Azad National Institute of Technology, Bhopal has issued the Admission Board for Admission to the MBA (2-year degree) course 2017-2019. The completed application form in all respects with the invoice is not refunded processing (receipt of the collection of the State Bank) must be submitted after the date of the program. The candidates who are interested and check the details can fill out your application form. All details, such as the application form, selection criteria, etc., can be found on this page below. Candidates seeking admission in MBA course can fill application from offline . All the candidates are request the fill all detail application form completely respect . Schedule for the MANIT Bhopal MBA Admission 2017 is given below. Application Form for MBA programmer can be downloaded from the official website or from the direct link provided below. The application form completed in all respect along with the (State Bank collect receipt) non-refundable processing fee should be submitted to Assistant Registrar (Academic), MANIT, Bhopal 462003 on or before 05/06/2017. Transaction receipt from SBI Collect ID No. ………… Amount………. Date……. If Graduation is not completed a Certificate is required from the Institute stating the month of completion and expected date of result. The candidate must hold a bachelor degree or equivalent qualification with minimum 55% (CGPA 5.5) and either CAT or GMAT score. The reservation for SC/ST/OBC/PH will be as per Government of India norms. Selection depends on rank list prepared by the Institute considering 70% CAT/ GMAT score, 20% group Discussion and 10% personal interview. Short listed candidate will be called for group discussion (GD) and personal interview (PI). The list of selected candidates will be made available on the Institute website. All candidates are required to visit the Institute website regularly for updates. No Individual information will be send.